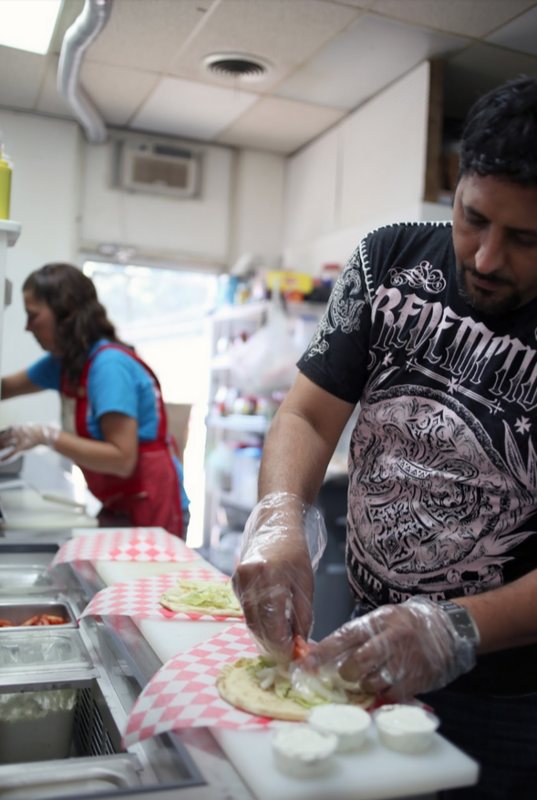 “I don’t want to live to be rich; I want to live to be satisfied.” These are the words of Alex Hanson, a Lebanese man who owns the International Food Market off of Hollywood Drive in Midtown. 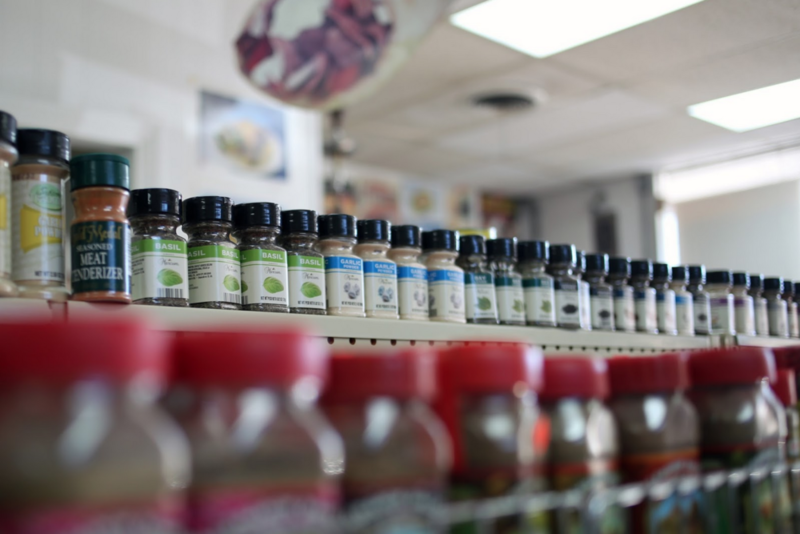 For the past nine years, Alex has been supplying Jackson with shelves of hard-to-find international ingredients as well as refreshing Middle Eastern and Greek cuisine. At first glance, the market/café combo may seem like just another hole-in-the-wall, but after watching the string of customers filtering in and out and chatting with the owner, it’s impossible to mistake this for any old grocery store. Alex and his family have created a community hub. As we walked through the aisles, we were met with the delightful sights and smells of naan (bread), couscous, olive oil, hookah pipes, chai tea pots, dozens of spices, and more. Just when we had turned our attention to the menu on the wall, Alex ushered us into a booth and set a delicious, freshly-made gyro before us. (Needless to say, it didn’t stay on the plate for very long.) Curious about the ethnic variety all around us, we asked Alex about his customers. He began listing people from Jordan, Yemen, Palestine, Jerusalem, Lebanon, Egypt, Pakistan, and India. “But most of my customers are American,” he said. And this gets to the heart of the International Food Market. Food is important in every culture; in fact, one could say that food is an expression of culture. This is certainly true for Alex, who has a passion for sharing his culture with the surrounding community through his food. Alex came to the States when he was nineteen years old and began his studies at UT Martin. However, he was forced to give up his studies because of a family crisis and started working for Procter & Gamble Pringles Plant in Jackson, where he stayed for three years. “I worked with determination, because I was building a base, you know. A foundation to give me a start.” But he did not then know what that start would be. In our short time with Alex, we saw his passion for family, food, and the transformative power of community. Even though his family is spread across the world, they keep in touch and help each other. Some local relatives work at the store, and the familial atmosphere touches everyone who enters. Alex converses freely with his customers, many of whom pop in and out on what seems like a daily basis. Because of this hospitality, it is very easy to strike up a conversation with those who linger in the shop. It is refreshing to meet a businessman who is helping Jackson appreciate the wealth that comes in the form of community and culture. People like Alex are essential to the formation of a healthy, vibrant community that helps satisfy the human need for connection. “I don’t want to live to be rich; I want to live to be satisfied.” How often do we ask ourselves if we are living to be satisfied? Photographer Amanda Rohde is an independent photographer and student at Union University. She enjoys cats, haunting thrift stores in search of 80's rock cassettes, spontaneous road trips, and making other people's lattes.